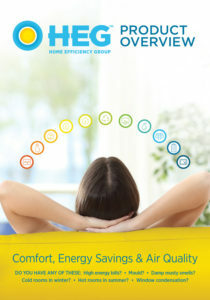 Ensure that your heat pump is running as efficiently as possible. This will let you save money on heater costs, increase the lifespan of the unit, improve comfort levels and often noise levels. A Heat Pump SOS (System Optimisation Service) is a thorough clean, performance test and inspection of your heat pump. Manufacturers recommend an annual SOS on inside and outside units. HEG™ technicians do a more thorough job than our competitors due to our attention to detail. As dust, mould, detritus, vegetation, cobwebs and hair gets stuck in the fins and coils of the inside and outside units of your heat pump, it becomes harder and harder for your heat pump to absorb and release heat (or cool). A Heat Pump SOS brings the heat pump back to near-new efficiency, often saving $10 to $15 in weekly running costs. Just like a car needs to regular service to ensure air filters don’t become blocked, and to inspect for potential issues, so is your reverse cycle air conditioner (heat pump). A build-up of dust, lint, spider webs, moths, mould, bacteria and algae etc… can all have a detrimental affect on the operation, running costs, noise levels, health benefits and longevity of your system. Single Split System Heat Pump (wall or floor mounted) – $165 each. Multi-split heat pump system – $165 base price plus $65 per additional internal head unit. We may not be able to access some high-wall systems or roofs more than a single storey high due to safety concerns. Extra fees may apply to difficult access scenarios (e.g. where the inverter is located on a second floor of a dwelling with limited access, or a ducted system is in very narrow sub-floor confines). Subject to onsite inspection. Replacement parts (if required) extra. Travel fees of $2.50 per km one way apply to jobs further than 25km from the Launceston or Hobart GPO. All prices include GST.